No annual fees, low interest rates and flexible credit limits and repayment terms. This card is hard to beat. Apply for yours today and get the credit you deserve by carrying a card that has world-wide recognition. Secured VISA® Credit Cards are available too. *A.P.R = Annual Percentage Rate/The Classic Visa Credit Card is subject to change without notice/Credit approval required/Some service fees apply/Rates, terms and conditions apply. 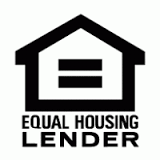 Contact the Credit Union for additional disclosure information/Equal Housing Lender.